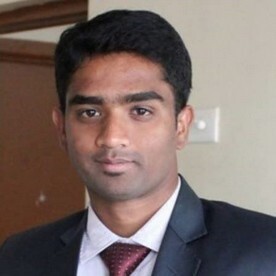 Mr. Bhuvanesh is currently a Road Safety Engineer at JP Research India Pvt. Ltd. (JPRI) and has served at various levels including Team Leader and Head of the Reconstruction department at JPRI between 2011 and 2016. Mr. Bhuvanesh is a Mechanical Engineer with a background in automotive engineering and has a Master’s degree in Transport Planning and Engineering from the University of Leeds with a distinction. He specializes in crash reconstruction, AIS scaling and occupant kinematics for injury correlation and has been trained by certified experts on AIS scaling. As the Head of Reconstruction department, Mr. Bhuvanesh has been instrumental in attaining a 100% reconstruction rate and has served as the technical lead for projects involving crash reconstruction. In addition, he has provided training on the use of PC Crash software, both internal training to ensure company-wide competency with use of the software, and external training sessions for clients. Mr. Bhuvanesh has made road safety presentations to a wide variety of institutions, industries and household societies. He was also the principal editor of JP Research India’s quarterly newsletter, SafetySpeak!, directing each issue’s focus on India-centric road safety issues and finding ways to make these compelling and relevant to a multitude of readers. Mr. Bhuvanesh has undertaken academic projects involving route planning and design with earthworks, capacity assessment of roundabouts and signalized junctions alike. With a Master’s degree in Transport Engineering and a five years’ experience in crash investigation, Mr. Bhuvanesh has an understanding of both crash consequences and road engineering.